Be Careful.... Some Heating Pads can Leak! All of our Microwavable cornbagwarmers are hand made in the USA and have been Designed to provide Years of Moist Heating Comfort and Relief. Some companies are making their Low Cost Corn, Rice, Flax, or Wheat Microwaveable Heating Pads out of a Single Bag. What this means is that the cloth material you hold in your hand is the same material that holds the corn, rice, wheat or flax. These low cost heating pads have a tendency to leak. 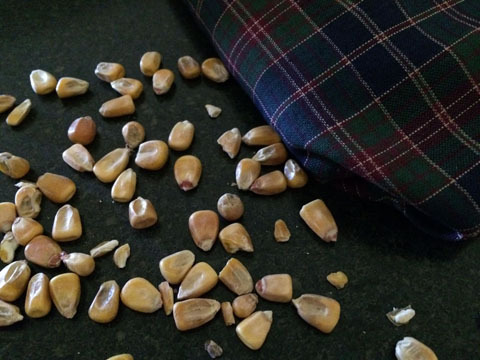 Ask yourself this...... Do I want Corn or other bits of material on the floor of my home so that I am stepping on them because of a leaking heating pad? Worse yet, what if my child or grandchild picks up a piece and puts it in their mouth? When we designed our Corn Microwave Heating Pads back in 2001, our original design was a single layer design, but we found through testing that this was not safe and leaked soon into the testing process. We pioneered the inner and outer bag solution and it is Simply the Best Solution available. We can use almost any cotton material for the outer cover - we can use the most delicate fabrics! 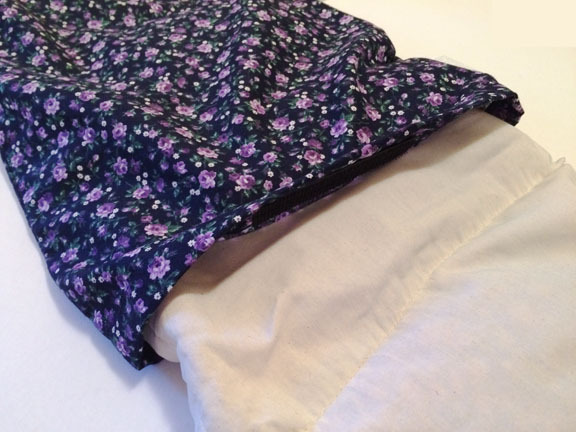 The Lap and Neck Heating Pads are Very Comfortable - the outer cover does not have to be sewn into pockets to keep the corn from moving around - the inner bag takes care of this. Moist heat that you must feel to believe!! Corn Bag Warmers Last for Years!